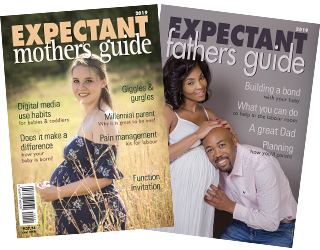 Expectant Mothers Guide | To Push or not to Push? 27 Sep To Push or not to Push? What type of Delivery should I have? Often, I have had to tell my patients about the pros and cons of the type of delivery we should have. Most of the parents are quite indignant and actually say to me: What on earth has that got to do with Optometry? Well moms to be, here I go, you can agree or disagree with me, but that is your prerogative, unfortunately, everything I have to say today is well researched. My answer being: 12 hours of discomfort is far better than how ever many number of years of therapy and distress for you and your child. Let us go back to a woman’s body. What has happened to the modern woman in South Africa? Ask your mother, grandmother and to those of you who have great grand mothers they too will give you the same answer: we as woman are designed to carry a pregnancy, push the baby out and breastfeed the baby. The first eight weeks of gestation (a few days more than 8 weeks) is the period of embryonic development. This means your ‘baby’s’ organs, tissues and systems in your baby’s body are developing. The next 32 weeks of pregnancy are devoted to growth, further development and refinement of those organs, tissues and systems. During the full period of the pregnancy, survival and primitive reflexes in your baby emerge. There are a few reflexes that emerge very early in the gestation period which are very important for the natural birth of your baby, one of them being the Spinal Galant reflex which emerges at 20 weeks of gestation (which is also the time your baby begins to hear.) and is inhibited (disappears) between 3 – 9 months. Labour takes time for a reason, the stimulation of the contraction forces the ‘baby’ into the birth canal, as the baby passes through the birth canal, the Spinal Galant reflex assists the birth by the baby wriggling and writhing as he/she passes the mothers bony sacral and pubic protuberances. i.e. as the baby’s side comes up against a hard ridge, the reflex (directed by the babies brain) allows the babies body to twist/fold/move, thereby passing the ridge. Further to this, as the baby’s head passes through the birth canal, the bones of the baby’s skull overlap (called moulding) which permits the head to be born with ease. One can liken the birthing effect on the baby to a kick start to life. So what of babies born by caesarian section? The result of which would directly impact on the baby’s learning capability. Now you ask: Why? Well moms and dads, the natural birthing process is your baby’s continuing education in sensory motor perception and sensory motor integration, which refers to: how the baby understands and then moves his body or body parts accordingly. In my practice, and let me say at this point, my associates and I see up to 120 new cases per month, and this number is steadily increasing. So parents and parents to be, your child, your responsibility, do yourselves and your child a favour: To push or not to push, I strongly suggest PUSH your baby out.